Do you know how many iPhones there are in the world? Before learning how to stream live for iPhone, it’s key to understand how ubiquitous this technology has become! The first iPhone was released in 2007. Later, with the launch of the iPhone 6 in September 2014, Apple sold a whopping 40 million iPhone 6 units in the last quarter of 2014. Add that number to the 500 millionth iPhone sold that March. By 2017, more than 700 million iPhones were in use concurrently around the world. And by the following year, more than 1.2 billion iPhones had been sold. Given this continued trend, this article reviews how to stream live from iPhone from your DaCast account. First, let’s take a look at the rise in both iPhone usage and live streaming. Nowadays, people use their iPhones–or similar smartphone–for nearly everything. This includes talking, taking pictures, listening to music, watching movies, setting alarm clocks, tracking daily steps, and so much more. So why not use it for live video streaming too? Today, there are many apps that support just that in order to stream live from iPhone. There may be times when you need to broadcast live and on the go. You might be on location at a protest or sporting event. If you don’t have a camcorder ready, your iPhone camera is a suitable alternative to use for your live streaming. DaCast makes it easy to stream live from iphone from anywhere in the world, and we offer a range of pricing plans to help you get started! Now, let’s dive into some step by step streaming solutions for how to stream live from iPhone. 1. Download an app for live streaming from the App Store. Choose one from this list we compiled last year. For iOS, the apps we chose include: Wirecast Cam and Broadcast Me. If you use Wirecast as an encoder, we recommend Wirecast Cam for iOS for maximum compatibility. It’s a free app for Wirecast subscribers. Otherwise, you can choose any iOS app from the list. 2. Open your DaCast account and find your Stream URL. Go to your DaCast account and click on Encoder Setup. 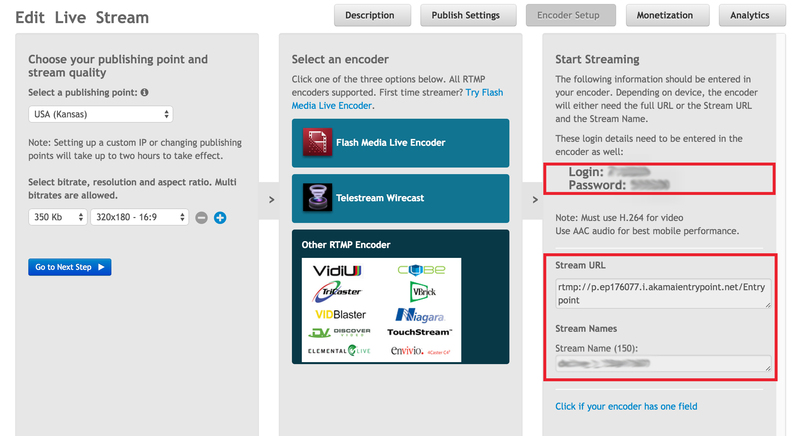 Whichever encoder you use, you should locate the Stream URL and Stream Name. In this example, we’ll use the “Other RTMP Encoder” tab. Copy the Stream URL and Stream Name. Take note of your login and password details, too. You will need this later on. 3. Open your chosen iPhone live streaming app. Depending on the app, you need to enter either the Stream URL and Stream Name, or only the Stream URL. Let’s use Broadcast Me as an example. It only requires that you put in the Stream URL. Copy the link to the RTMP link in the Broadcast Me settings page and save it. 1. Copy your unique Stream URL (for example – rtmp://p.epXXXXX.i.akamaientrypoint.net/Entrypoint). 3. The last part consists of filling in the Username and Password fields. These will be your login and password, which you saw under step 2 of this guide. Enter this information into the app and click SAVE. If you prefer more graphical instructions, you can read our dedicated blog for the Broadcast Me app. 4. Secure a stable internet connection. A note about connection speed when you stream live from iPhone: your mobile data on 4G or LTE is generally not sufficient for this use. You need to have a strong and constant internet connection in order to deliver high quality streams. You want to connect to a wireless internet network and be as close as possible to the router. If Wi-Fi isn’t available in the area, then you may want to use a hotspot. 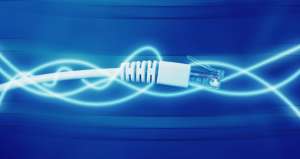 In the live streaming industry, it is commonly accepted that you should maintain a connection speed of at least 750 KBPS. For higher quality streams, a minimum of 2 MBPS is necessary. It is also generally recommended that your upload speed is twice as fast as the quality at which you want to stream. You can test your upload speed at testmy.net to gauge your connection at your present location. Read this DaCast post about tips to improve live streaming, or this post about how to live stream an event for more details. 5. Start recording from your camera and microphone. If you followed the above steps correctly, your live stream should be working at this point! 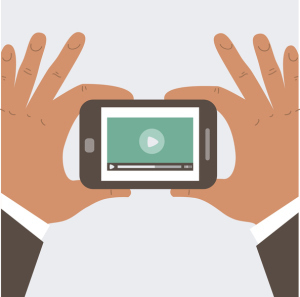 Within 30 to 60 seconds, the live stream should appear from your iPhone camera. This means you’re now ready to stream live from iphone to your viewers! Now that you have everything set up, you’re ready to go live. To ensure optimal quality to stream live from iphone, make sure that your audio and video settings are as follows: H.264 video codec and AAC audio codec. These settings will guarantee that your video has high quality in your DaCast channel, even if you choose to stream live from iPhone. Streaming live from your iPhone can be an exciting experience as you share everything you see in real-time. The next time you think you’re limited by a heavy video camera, think again. Your iPhone is a worthy replacement as you broadcast live to the world. 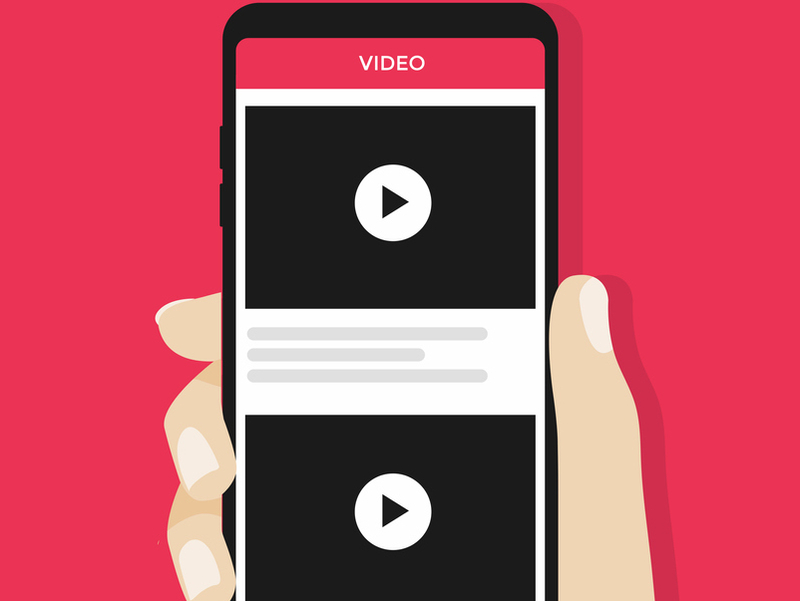 For example, you can use your iPhone to stream live video to your website easily via your chosen online video platform, like DaCast. We hope this guide make it easier for you to setup your live broadcast. As we’ve highlighted above, all you need is a good internet connection, your unique Stream URL (RTMP link) and an iPhone. Now you can stream live from iPhone from wherever you are! 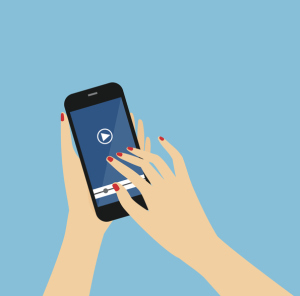 Have you already used your iPhone for live streaming? Was it successful, or did you encounter any issues? If you’re new to learning how to stream live from iPhone, was this guide useful? Are there other resources you’d like to be connected to? Tell us about your past experience in the comments! We love to hear from our readers, and we will get back to you. For regular tips on live streaming, feel free to join our LinkedIn group. DaCast helps a wide range of businesses get started with live streaming. Looking to do live streaming of sports event? Have other streaming goals in mind? Why not check out how our live video streaming platform could boost your business with our 30-day free trial (no credit card required). Looks like Broadcast Me only has RTSP app for iOS in the USA. 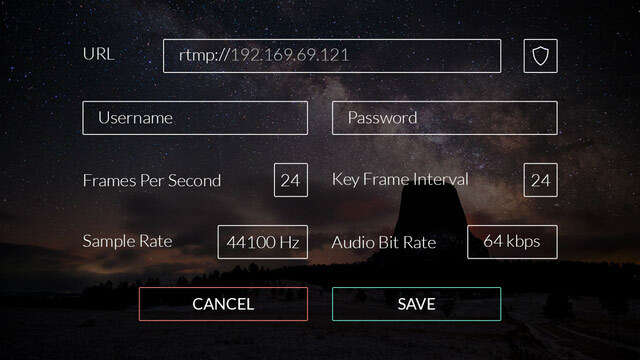 RTMP for Android. Has their support confirmed this is only for outside the US? Just to clarify on this, if people are reading these comments now: there is both an RTMP and RTSP app for iOS inside the US for Broadcast Me. The above relates to the RTMP version. The RTSP version is called “Broadcast Me RTSP” while the normal version, “Broadcast Me”, is the one for RTMP. Thanks for the article Philline. Netflix app (or Hulu, or BBC, etc) is great on iPhone. If live outside USA, you can use tools like UnoTelly to get Netflix (or Hulu, or BBC, etc) on your iPhone.